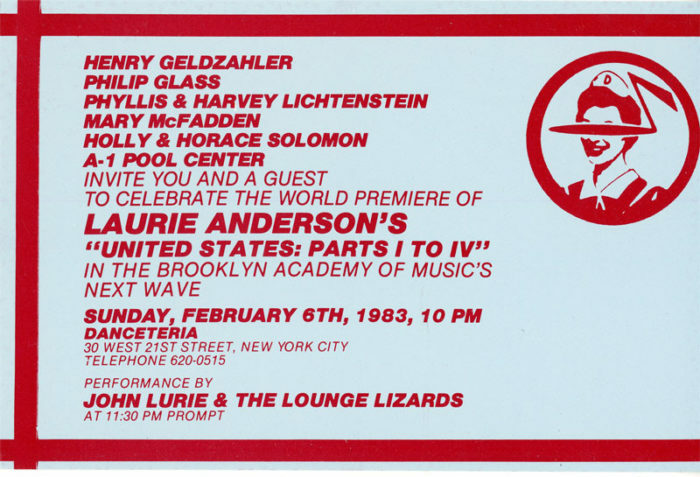 Card invitation to the celebration of the World Premiere of Laurie Anderson’s United States: Parts I to IV in BAM’s Next Wave Festival at Danceteria, 1983. Performance by John Lurie & The Lounge Lizards. 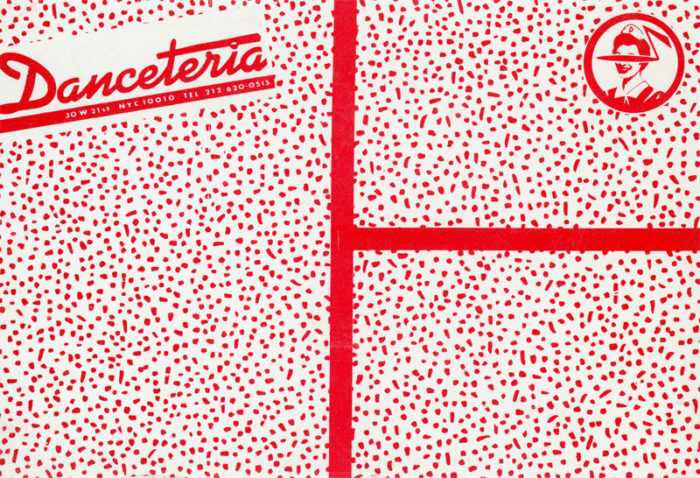 Hosted by Philip Glass, Harvey Lichtenstein, Holly Solomon and others.